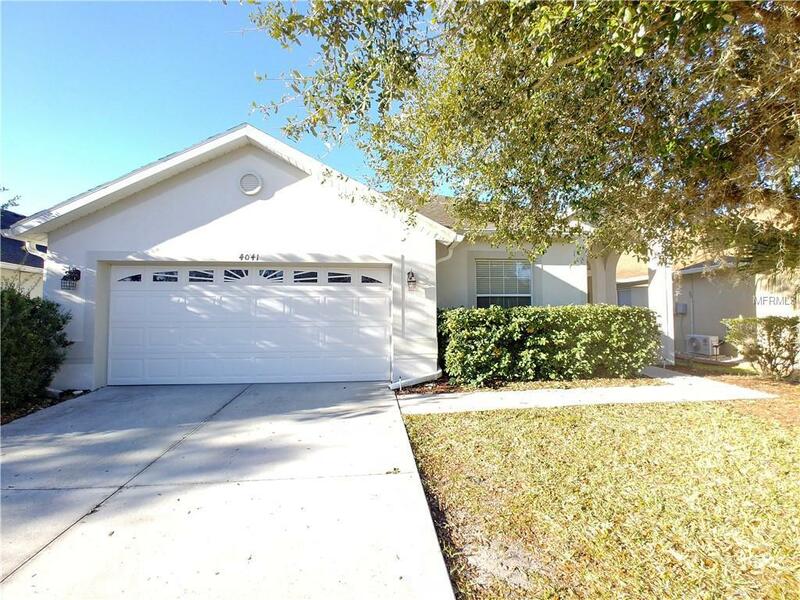 Gorgeous, well-maintained 4-bedroom, 2-bathroom home in beautiful gated Meadow Pointe community. Spacious floor plan features foyer, living room, dining room, separate family room plus bonus room, den or office. Gourmet kitchen features stainless steel appliances, ample counter and cabinet space with island, breakfast bar and dining nook. Large master bedroom includes walk-in closet and en suite master bathroom with dual sinks, garden soaking tub, large walk-in shower and additional closet space. Split floor plan features three additional spacious bedrooms with large closets and ceiling fans. Perfect for entertaining or a growing family with large fenced-in backyard and open patio. Rent includes lawn maintenance plus access to all the ammenities of Meadow Pointe including 2 clubhouses, community pool, playground, park and tennis courts. Located just minutes away from Wiregrass and the new Premium Outlet Mall. Plus easy access to I-75 puts you anywhere in Tampa Bay within a short drive. Start your new life in this amazing community today. Pet Restrictions Small Pets Will Be Considered. Listing provided courtesy of Xpress Property Resource,Inc.